A Tvetene Turf lawn is a long term investment that will give you and your family years of enjoyment, as well as enhancing your home and property value. 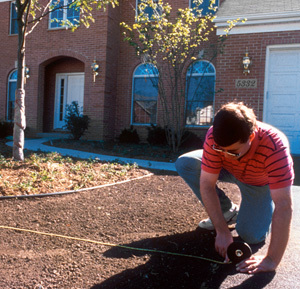 Choosing the right lawn for your lifestyle and soil type from the beginning is essential. 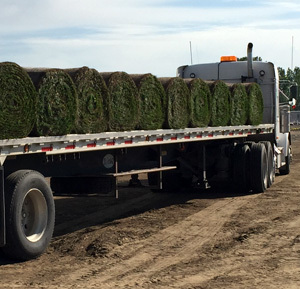 At Tvetene Turf, all of our sod is fully matured for at least 12 months, and is delivered to you fresh and ready to install. It’s suitable for almost any site — level or sloped — and can be successfully installed from early spring to late fall. It feels soft underfoot, yet withstands the rigorous demands of an active outdoor lifestyle. 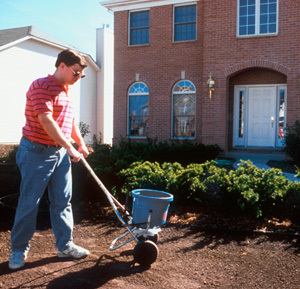 Not only can we deliver lush, healthy, instant lawn direct to your door, but we also stock a range of seed and fertilizer to help get your lawn off to a healthy, hearty start. 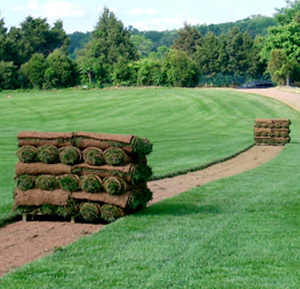 If you’re not sure which sod type is best for you, our staff is happy to chat with you about your particular requirements. Call us today at (406) 652-8485, or toll free at (800) 448-5568. Take a look at our Gallery Images too. 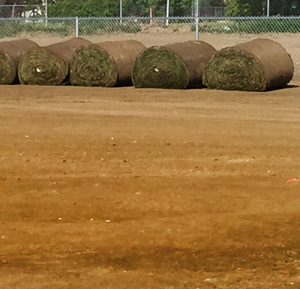 What about Sod or Synthetic Turf? 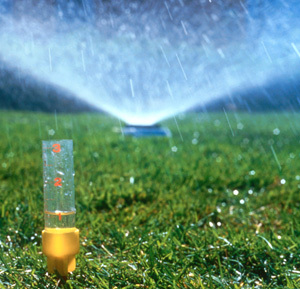 Usage Requires significant amounts of irrigation for growth. Does not require irrigation for growth, some watering required for maintenance of specific types of synthetic turf. Stormwater capture Provides for natural infiltration of water through the soil profile reducing runoff. 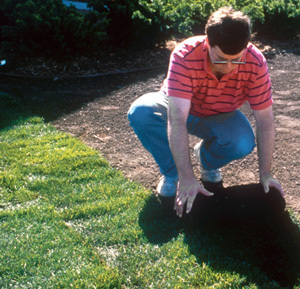 Inhibits natural infiltration of water, increasing runoff (synthetic turf can include drainage systems to compensate for their inability to take in water and capture and storage systems that can harvest rainwater for re-use). Carbon Footprint Carbon emissions generally come from the installation and maintenance stage (fertilizer production, mowing and lawn management). Tends to have lower carbon footprint over entire lifecycle. Carbon emissions come from the processing, production, transportation, installation, maintenance and disposal stages. These materials impact over the entire lifecycle significantly, increasing the carbon footprint. Carbon Sink Helps remove carbon dioxide from the atmosphere through photosynthesis and stores it as organic carbon in soil, making it an important carbon sink. Does not have the ability to remove carbon dioxide from the atmosphere. Transport Natural instant lawns have short shelf lives and can only be transported shorter distances, or they are planted from seeds which have minimal transportation costs. 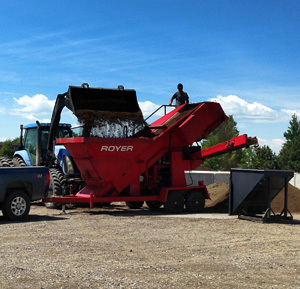 Generally speaking, synthetic turf is transported long distances (even if it is supplied by a local company, the manufacturing of the product is often performed overseas) – resulting in high transportation costs. End of life Natural grass does not have a definitive end of life; however may be replaced to enhance the current surface. Disposal is not normally required. Ends up in landfill where it takes a long time to break down. High disposal costs. 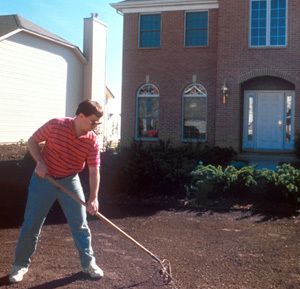 Soil Natural grass improves the soil by stimulating biological life and by creating a more favorable soil structure. 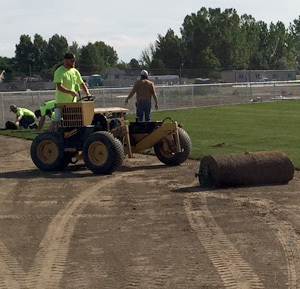 Heavy compacting of the soil before installing synthetic turf damages soil structure, soil microbes and soil life. Heat dissipation Natural heat dissipation. Heat is absorbed by turfgrass. Cools the surrounding environment. Heat reflection. Absorbs and radiates heat. Heats the surrounding environment. Can be uncomfortable and unsafe in hot weather conditions. Color of the synthetic turf may influence the level of reflection. 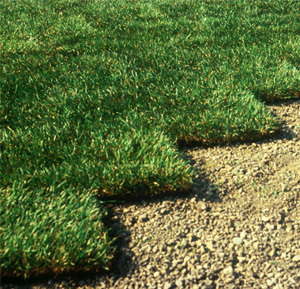 Noise Grassed areas present an irregular soft surface which makes them effective at reducing noise levels. 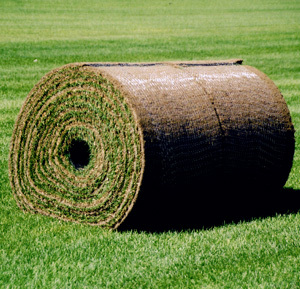 Synthetic turf fibers absorb some noise, but not as much as natural grass. Biodiversity and habitat Provides natural environment for organic biodiversity in the soil. No organic biodiversity due to compacted base and synthetic surface. 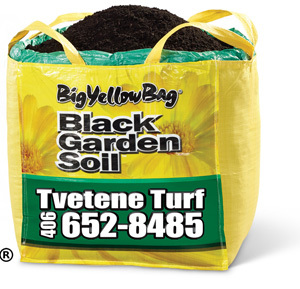 Order a Big Yellow Bag and get that garden started!